In school kids are expected to know what homophones are and how to use them correctly in a sentence. After all, understanding the concept of homophones can help kids with their spelling and reading skills. If your child is having a hard time understanding how homophones work this is the perfect activity. 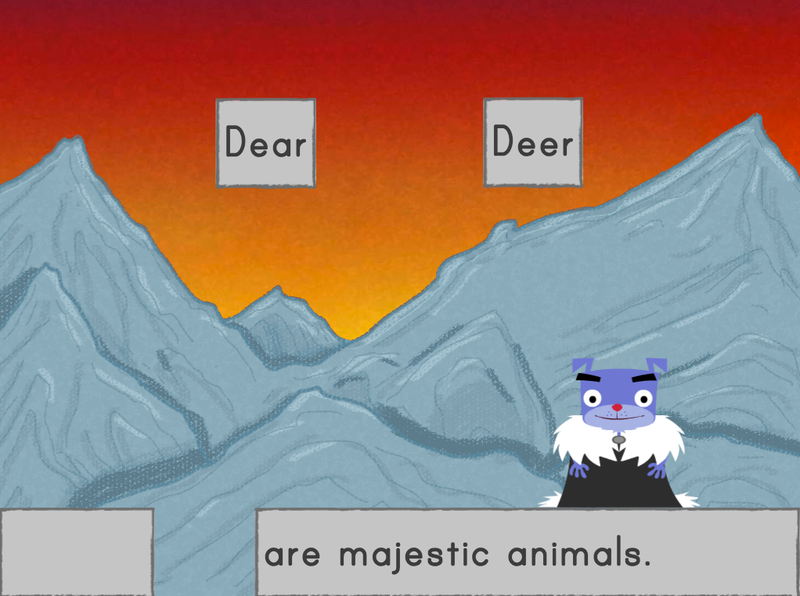 Your child will giggle at the crazy illustrations she makes when she creates these horrible homophone sentences! Write the words “horse” and “hoarse” on a piece of paper. Ask your child to identify the difference between the two words. Make sure she realizes that “horse” is the name of an animal, and “hoarse” is the description of the way something sounds, such as a hoarse voice. Tell your child that these two words are homophones, or words that sound the same but look different. 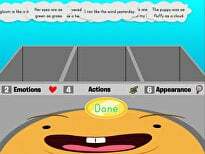 Brainstorm a list of homophones with your child. Some examples may include sea/see, ant/aunt, ate/eight, prince/prints, bare/bear, hair/hare, and hear/here. Challenge your child to try to illustrate one of the sentences, no matter how silly the illustration will look. For example, your child might draw a picture of a person swimming in a large eyeball or a large pair of glasses. 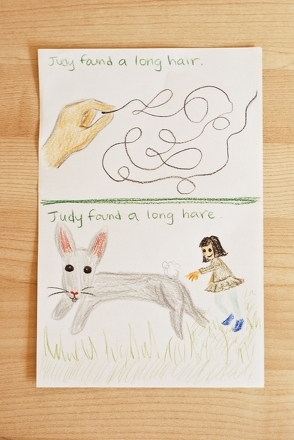 Display this picture and encourage your child to draw another! 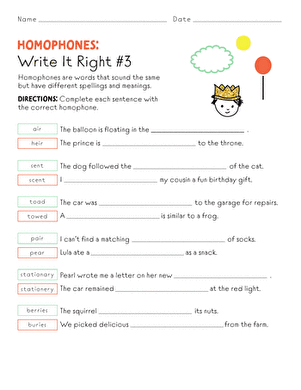 Help your child learn about homophones, or two words that sound the same, in this worksheet. Get some practise with homophones using these sample sentences! Give your child some practise with homophones using these sample sentences! Learn about homophones, or two words that sound alike but have different meanings, in this worksheet.